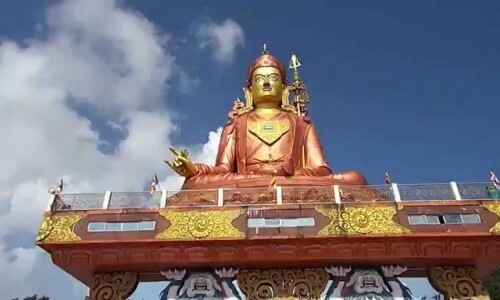 This is the One of the Best Adventurous Trips Through the Silk Route in Sikkim for 7day Tour Covering the Beautiful Location of Sikkim and It Gives Beautiful Views of Kanchanjunga and the Himalayan Ranges. get a Transfer from New Jalpaiguri to Sillery Goan and Your Cycling Trip Start Through Serene Valleys and Scenic Mountain Roads. 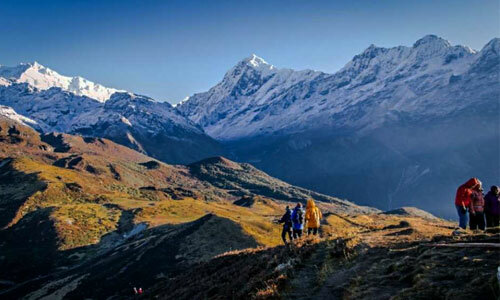 in the Trips You Will Get Rishi Khola, Zuluk, Nathang Valley Etc. are the Major Points to Visit During Your Tour. accomodation On a Sharing Basis On Trek (hut/camp/tent) Hotels. Day 1: Arrive At Sillery Goan On the Indo-nepal Border from New Jalpaiguri Station that Will Take Around 4hrs (88.5km) Via Nh10 and Rishi Road. Overnight Stay At Homestay. Enjoy the Views of Mt. Kanchanjunga and Himalayan Range from There. Day 2: You Will Start Your Cycling Journey from New Rishi Khola for 23 Kilometres Via Pedong. the Silk Route is Nice Trip and Camping Tour for Tourists to have Fun and Chill Out with Friends On Banks of the River Reshi. 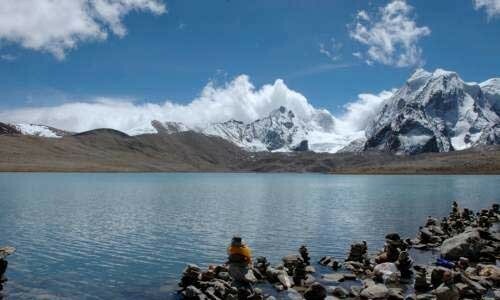 Day 3: Your Cycling Trips Start from Lampokhri Lake or Aritar Lake with Beautiful Views of Aritar Lake. After That, the Ride Will Start Downhill Through the Dalapchand Valley and Reach a Small Town, Rongli Located On the Banks of the Rongpo River. Then the Roads Starts Dumbing Uphill Through the Picturesque Village Hamlets of Sisney and Lingtam . Overnight Stay At Hotel. Day 4: Head out to Zuluk covering 50kms in total after crossing some waterfalls and river streams. On reaching Phadamachen, you will visit an old Buddhist Monastery. Cycling climb 24kms through the mixed temperature and through cycling you views alpine forests and ride up to reach Zuluk. 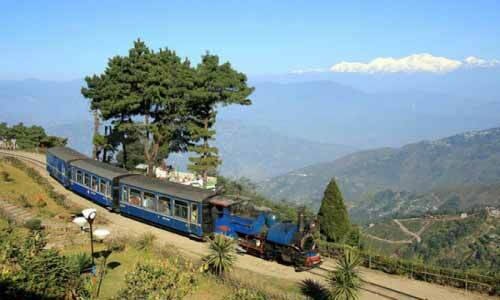 Day 5: From Zuluk to Dhupidara It is a Steady Uphill Ride of 17 Kms of Cycling Tours. in There You Will also Get Some Rest and You Will Start Your Riding Nathang Valley. this Riding is Comparatively Easier On this Journey. the Ride is Through the Army Area and It is Necessary to Abide By There Rules. 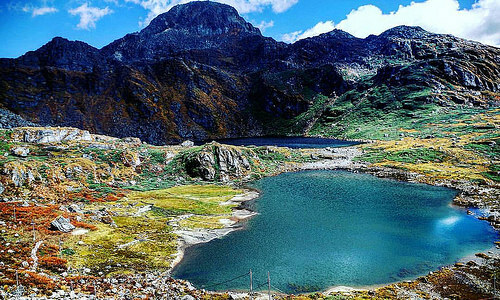 Nathang Valley is a High Altitude Plateau At An Altitude of 13,500 Feet Above Sea Level and is Flanked By Mountains. After Cycling Tour You Will Reaching Nathang and Overnight Stay At Homestay. Day 6: Early morning go for sunrise trip to Eagle's Nest Bunker. Return to Nathang for breakfast. Leave Nathang after breakfast for Gangtok. Enjoy the sights at old Baba Mandir, Kupup Lake, New Baba Mandir on your way back. 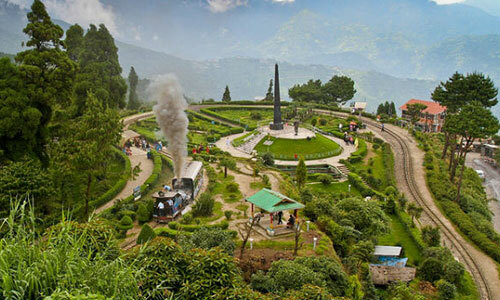 Day 7: In the Morning, Departure from Gangtok and Drive Back to Njp Railway Station Bagdogra. All Necessary Permits and Entry Fees for the Trip. all the Equipment like Tent, Sleeping Bag Etc, (but for Hygiene Purpose You are Recommended to Bring Your Own Sleeping Bag if You Have). all Safety Equipment, First Aid Kit, Service of Your Expert Team. pick Up and Drop of At Njp Railway Station Bagdogra Airport. Transportation During the Trip. this is Only for Group.